There's nothing quite as enjoyable as spending a late night with your closest friends, sitting in comfortable outdoor chairs and laughing around a blazing campfire. In honor of those sweetest times in life, Cannes has given the campfire an outdoor furniture upgrade. 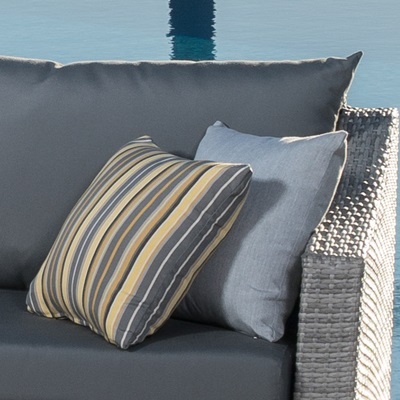 Distinct styling, a powder-coated aluminum frame, and weatherproof cushions make this virtually maintenance free and designed to last for years. 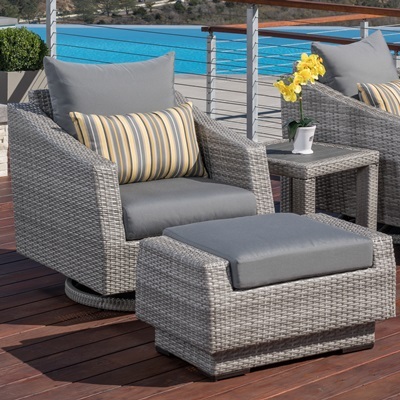 Set includes four motion club chairs with coordinated accent lumbar pillows, and a propane-powered fire table. 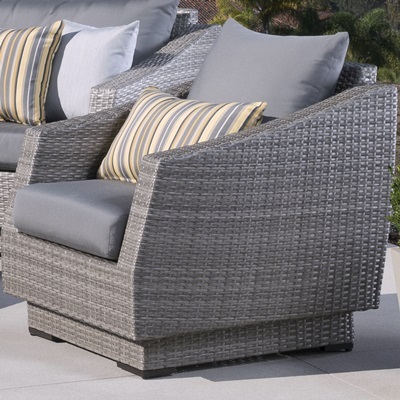 Club chair frames are constructed with high quality, powder coated aluminum for years of durability.